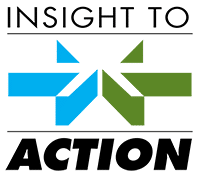 INSIGHT TO ACTION is a market research consulting firm. We combine in-depth, industry, customer and competitive marketplace insights with creativity and client collaboration to create a credible, definable and measurable blueprint for action. We work with a wide array of B2B and B2C firms in dozens of industries.